#ChristmasinKettering – Join our campaign to encourage people to shop locally! This Christmas, we want local retailers, shoppers and businesses to join us in a #ChristmasinKettering social media campaign to show off what is on offer across the Borough of Kettering. 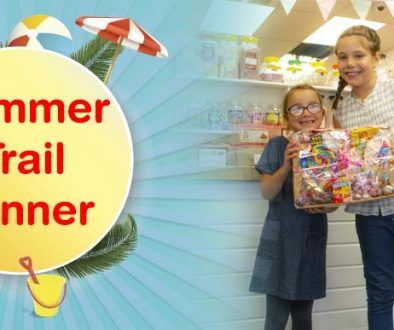 We’re keen to help promote the town’s offer to encourage more shoppers into the area over the important festive shopping period by creating a buzz on Twitter, Instagram and Facebook. 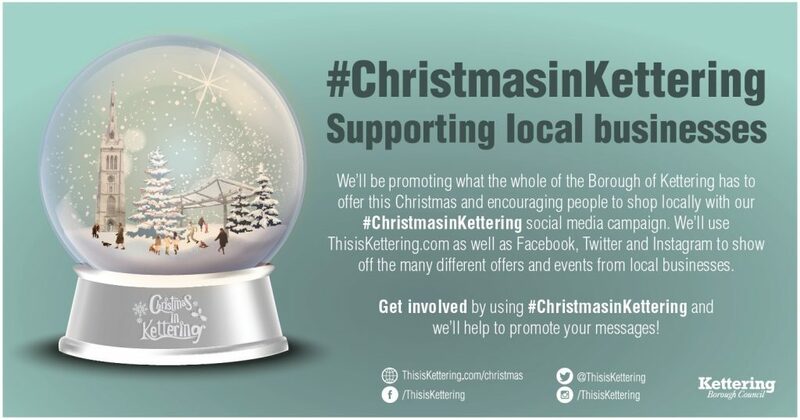 Shops and businesses: Post images of your products, offers and events on Twitter, Instagram or Facebook and use the #ChristmasinKettering hashtag. We’ve attached some images which you can use but we’d encourage you to post images of your own products and posters with the hashtag to promote yourselves. Visitors: If you’re at an event, have found a product you’d like to recommend, or seen a nice Christmassy photo opportunity – tweet or post and include #ChristmasinKettering! All Twitter and Instagram social media posts will be added to our campaign wall highlighting the wide range of what’s on offer locally. As well as retweeting/reposting on our @ThisisKettering social media accounts, we’ll also be writing a series of blogs to highlight the best of what shoppers will find, based on the posts we receive, so make sure you’re featured! 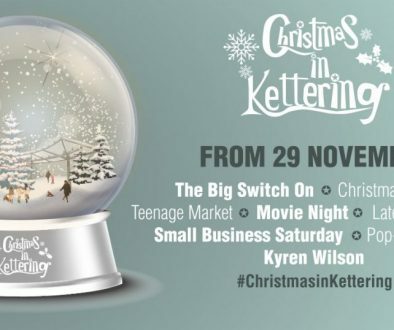 The Christmas in Kettering events start on 30 November with The BIG Switch On, featuring Kettering-born TV star comedian James Acaster, and also include Christmas Markets, Small Business Saturday, Teenage Market and a Big Screen Movie Night over the following weeks in December. There’ll also be FREE PARKING in all Council owned car parks on all day on Saturday 2, 9, 16 & 23 December and after 3pm on Thursday 7, 14 and 21 December, as well as all day every Sunday. 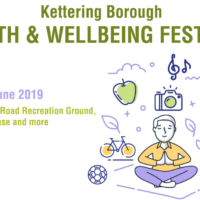 If anyone would like to get involved in any way, have any ideas or would like some printed timetables or posters, let us know. We’re looking forward to seeing your posts! 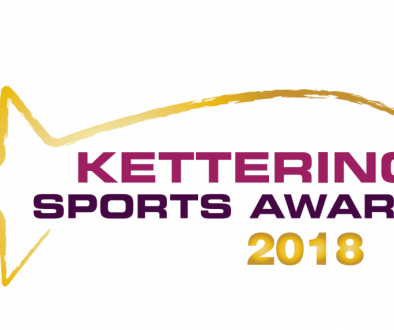 Kettering Sports Awards Winners! #ChristmasinKettering – Events for Kids!